Define open space without sacrificing openness. Frameless glass walls have long been a popular design element for commercial spaces such as offices, restaurants, hotels and spas. Over the years, designers and architects relied on this space-saver for smaller urban dwellings, where the transparency of glass can both preserve and define space. 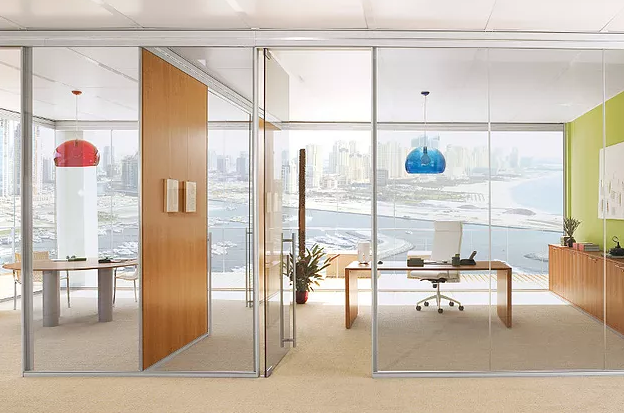 Now, many modern homes contain some form of frameless glass walls, such as glass wall panels for sunrooms, glass wall dividers, glass wall showers, glass knee-walls and glass wall closet partitions. Which type of frameless glass suits your style? Our style options for frameless glass walls include richly colored glass for privacy and light reflection as well as classic, ultra-clear and patterned glass panels.